The team at iSmile Orthodontics is proud to provide our patients with a wide array of orthodontic options to help each one achieve that straight, beautiful smile they both want and deserve. Among the options we provide our teenage patients is the innovative Invisalign Teen system. Our orthodontists are proud Invisalign Teen White Plains providers who have helped many young people improve their smiles using this modern approach to straightening teeth. Invisalign Teen takes a unique approach to straightening teeth using a series of custom-made, removable, clear aligners that gradually and gently shift the teeth into place based on the exact movements your orthodontist plans out. The aligner trays are smooth and comfortable and there are no brackets or wires to tighten. Your teen simply pops in a new set of aligners every two weeks or so until the treatment is complete and he or she achieves the confident smile he/she has always wanted. Teenagers enjoy wearing Invisalign due to the fact that the aligners are nearly invisible and because there are less office visits required since there are no wires that need adjusting. When Invisalign is compared to other teeth straightening options, the advantages are very clear. For one, Invisalign can effectively treat a wide variety of cases including crowded teeth, spaces between teeth, crossbites, overbites and underbites. And, because the aligners are removable, your teen can eat whatever foods he or she enjoys as the aligners can be taken out while eating and then put back in when done. Your teenager also will be able to brush and floss his or her teeth normally for much better overall oral hygiene throughout the treatment process. 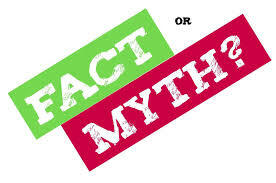 When regular braces are worn, your teen can experience pain, discomfort, mouth sores or injuries caused by the wires. There can also be tooth decay from inadequate brushing & flossing and a build up of plaque because it can be difficult to brush and floss well with traditional braces. All these things can be avoided with Invisalign Teen. Additionally, because the aligners can be removed when eating, your child will be able to enjoy the foods he or she loves such as pizza, hard-crusted breads, corn on the cob, apples and more. The Invisalign Teen aligners feature a small, inconspicuous Blue Dot wear indicator that tells your child when it’s time for a new set of aligners. 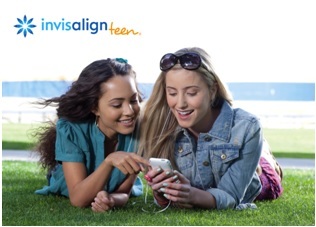 Invisalign Teen also provides up to six free replacement aligners in case your child loses or breaks an aligner. A growing number of young people are wearing Invisalign Teen today because of the many advantages this teeth straightening option provides. Young people who wear Invisalign Teen love the fact that they’re able to take the aligners out for special occasions like school photos and then simply pop them back in when done. Invisalign Teen is ideal for the busy teenager who may be self-conscious about wearing conventional metal braces. Of all the other orthodontic treatment options out there, none offers the level of comfort, convenience and confidence provided by Invisalign Teen. Your child is sure to appreciate how this revolutionary approach to orthodontic treatment has minimal interference in how he/she lives, looks and feels. The iSmile Orthodontics team strives to provide the highest quality care possible to ensure that each of our patients leaves with a beautiful, healthy smile and superior results. If you are not pleased with your teen’s Invisalign results, we offer free braces treatment for the last couple of months so that the perfect smile can be achieved. We also include 1 free refinement with your teen’s Invisalign treatment. If you would like to see if White Plains Invisalign Teen is right for your child, please schedule an appointment with us. You can do so by filling out and submitting the Appointment Request form that is on our website. One of our team members will then contact you to set up an appointment time.